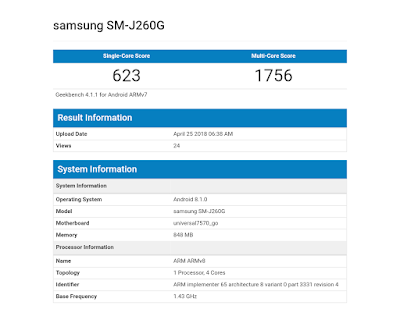 Another smartphone from Samsung,bearing model no as SM-J260G has been popped up in Geekbench.It is only few days back Samsung launched J2 in India.And the company is expected to launch Galaxy A6 and A6 plus soon.However,the specifications reveals that this device will be a low budget phone. Anyway let us go through Geekbench test report. 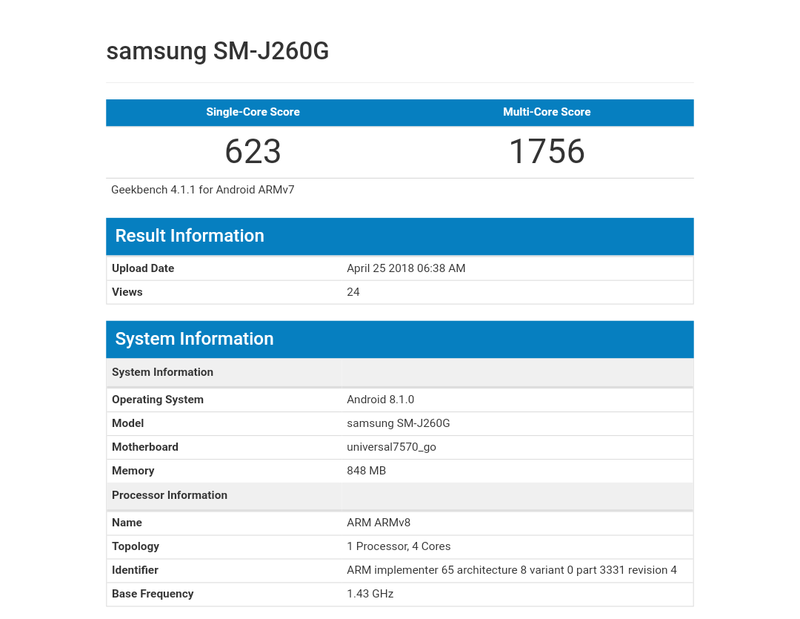 According to Geekbenchmark,the device is running on Android 8.1 Oreo.It is powered by 1.4GHz quadcore Exynos 7570 processor with 1 GB of RAM.However,it has managed to achieve a score of 623 on single core and 1756 on multi core tests. 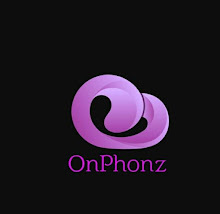 Calculating with Geekbench,it will have 5 inh display with qHD resolution.It should equipped with 8MP sensor on back and 5MP sensor on its front.A 2000 mah battery is expected on this device.